Wonderful golden buddhist bracelet, closed with a mantra for Love and Protection. 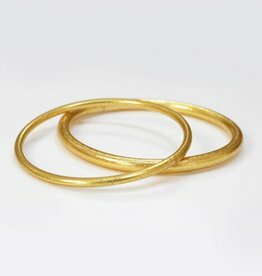 Made of a soft tube bangle filled with gold leaf, makes this bracelet flexible, lightweight and water resistant. So you can easily wear the bracelet day and night!